As you think about who will be your beneficiaries, consider including a favorite charity or foundation. Take a few minutes to think about organizations or causes that are special to you—some national, perhaps international, and some local. There are many excellent ones, and they are all in need of funding to continue their work. There is sure to be one or more that you would like to help. 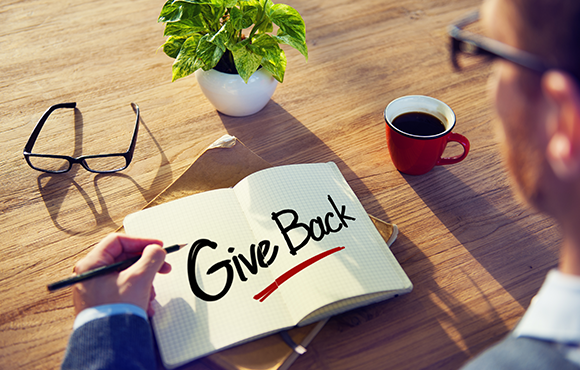 In addition to the tax benefits of charitable donations, you have the power to do something good, to express yourself, and to give something of value back into the world. For example, you may have been very active in your church, synagogue, or other religious, fraternal or charitable organization. Perhaps it provided support to you at a critical time in your life and you would like to return the support. Maybe someone very close to you died from cancer, Alzheimer’s or another disease, and you would like to help fund research to find a cure. Many people give in the memory of a loved one. You may feel very strongly about helping our veterans, education, child abuse, the hungry and homeless, protecting the environment, world peace, animal rights, the arts, organ donation—the list of worthwhile causes is endless. Your gift can be as specific or as general, as large or as small, as you want to make it. For example, you could set up a scholarship program for underprivileged children. You could buy new chairs or religious textbooks, or help fund a building project, for your place of worship. The charity or foundation of your choice will be glad to make suggestions, and will be able to help you and your attorney set up your gift program. Including a charity as a beneficiary of your living trust lets the charity receive the maximum benefit of your gift. It will not be reduced or delayed by the probate process as would happen if you made the gift through a will. Also, because a living trust is more private, distributions can usually be made more quickly, and the process to contest is more difficult, there is less chance your gift will be contested than if it were made through a will. Note: Make sure you specify the legal name and the location (including address) of the organization you want to receive the gift. For example, if you want the local office of a national organization to have it, make sure you clearly state so. Otherwise, the local office and the national office could end up fighting each other in court to see who will receive the gift. Also, if you are not sure if the organization will still be around to receive the gift, list an alternate charitable beneficiary. This will prevent a court from having to decide who will ultimately receive your gift.